The European Bank for Reconstruction and Development (EBRD) is providing Polish railway freight operator PKP Cargo with a €100mn long-term multi-currency loan to support the company’s regional expansion. The loan will be used to finance the acquisition of Advanced World Transport (AWT), a transport and logistics operator purchased by PKP Cargo in May 2015. Based in the Czech Republic, AWT has operations throughout central Europe. 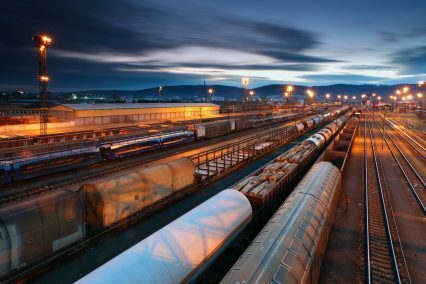 According to an EBRD statement, the acquisition will provide PKP Cargo with seamless border crossings with the Czech Republic and better infrastructure, further expanding on the Baltic-Adriatic-North Sea railway transportation corridor. Such extended railway corridor will allow PKP Cargo to develop new routes and provide comprehensive logistics and transportation services. “This acquisition marks a new milestone for PKP Cargo after its successful privatisation. The EBRD’s loan is a sign of our continuing commitment to the company and its plans for future growth. We are very encouraged by the company’s development and stand ready to offer our support,” says Grzegorz Zieliński, EBRD director for Poland. PKP Cargo is Poland’s largest and Europe’s second-largest railway freight transport operator. Since its privatisation in October 2013, the company has been 67% privately owned. The EBRD supported the company’s IPO in October 2013 with the acquisition of a 5.1% stake, which was sold last year.